Those waterfalls were definitely worth messing up our routine for. Fresh bread from McGrath’s Thursday, Friday, and Saturday this week, including Jalapeno Cheddar! Don’t forget about Village Acres’ FREE breakfast on this Saturday! In addition to the list below, there are a few tentative items that we may be getting in small quantities….Stay tuned to Instagram/Facebook for possible news of some exciting spring additions! 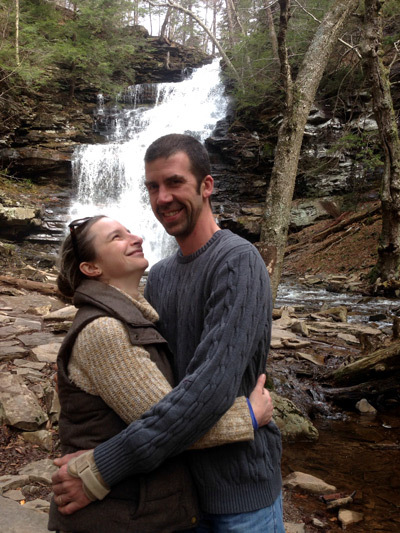 Dusty and I are feeling a little off-kilter this week in our food lives, following a little weekend getaway with my family to Ricketts Glen. Sundays are often our day to do a deep kitchen cleaning, an inventory of what we have on hand (and what’s left over from the market week! ), and cook whatever we’re feeling — hopefully enough for leftovers. This week, though, we missed that routine! Upon our return home Monday afternoon, we plunged immediately into work, and, I’m afraid, haven’t quite stopped since. I say that like it’s a terrible grind over here, but it’s not that bad. Last night part of “work” meant a dinner meeting at the Millworks, where we were excited to try some of the items on their new spring menu. Alas, we weren’t able to try all the new things, so we’re looking forward to returning again soon for some more sampling. For tonight, I think we’re going to go simple — maybe pasta with some fresh spring veggies and greens — and start dreaming about what will come together this coming Sunday when we’ll be back into our normal routine. I’ve been stalking asparagus recipes….you just never know when it might show up.